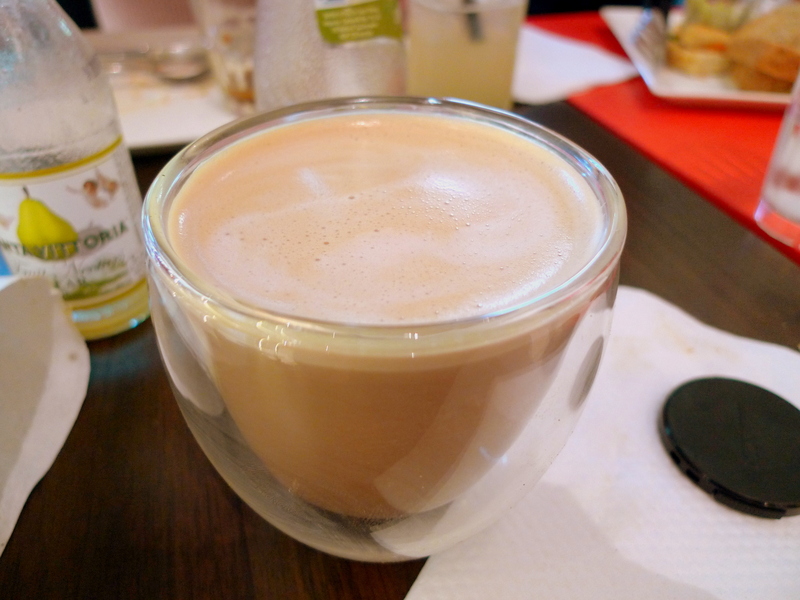 Singapore needs more places like Espressoul. 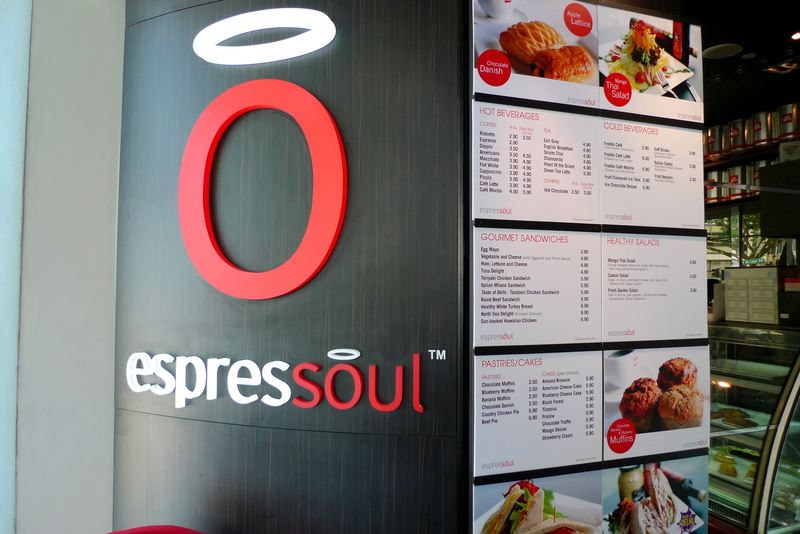 Unlike the many other capitalist coffee chains, Espressoul’s sole branch serves up a very decent cuppa/coffee with a very much personalized service in a homely setting. It hosts the ideal environment to just sit back, chill, surf the web(there’s even a laptop with Internet access at a corner of the cafe with free usage), have project discussions yada yada. Lunch Sets(from $6.90++) are afforadable and includes a Gourmet Sandwich, Salad and Drink(ranging from teas, coffees to fruit nectars and flavoured sodas). After 2pm, Pastrys go for 30% off while Cakes go for 50% off! The Salad was topped with a tangy Balsamic Vinegrette Dressing. Choice of Bread for the Sandwiches are Focaccia, Ciabatta or Multi-grain. 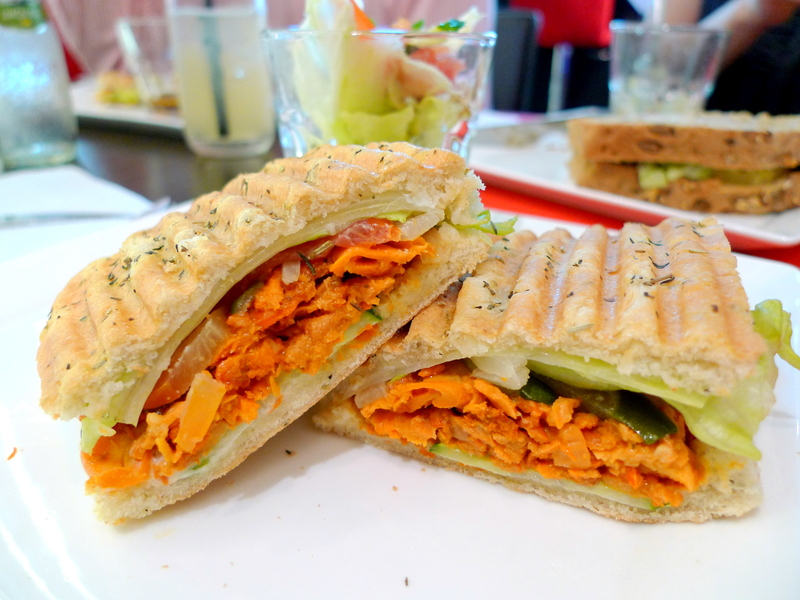 I had the Tandoori Chicken Focaccia Sandwich($5.90). I was impressed that a cafe with only 2 staff could whip up such a decent Tandoori Chicken. Just mildly spiced, it suited me well. My advice is to eat it as quick as possible since the Tandoori Chicken doesn’t taste as good after it gets cold. HY ordered the Smoked Salmon Focaccia($6.90) which surprisingly was not part of the day to day menu. “Better than Soup Spoon’s” was how he thought of it and I agreed. AD had the Hawaiian Chicken Multi-Grain Sandwich. 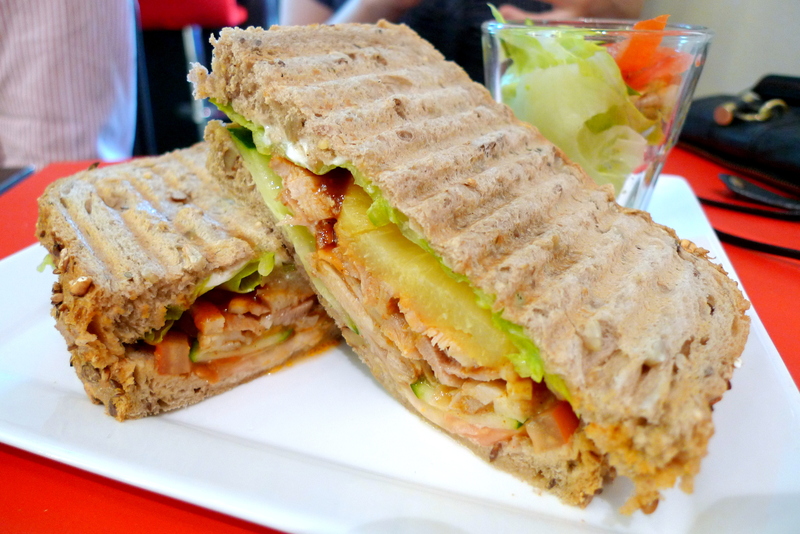 With a filling of Mayo, BBQ sauce, Pineapple Chicken and Cucumbers & Lettuce, it was my favourite of the 3 sandwiches. Then again, what doesn’t taste good with Mayo and BBQ sauce? The Mocha was competent with a strong addictive nutty flavour. 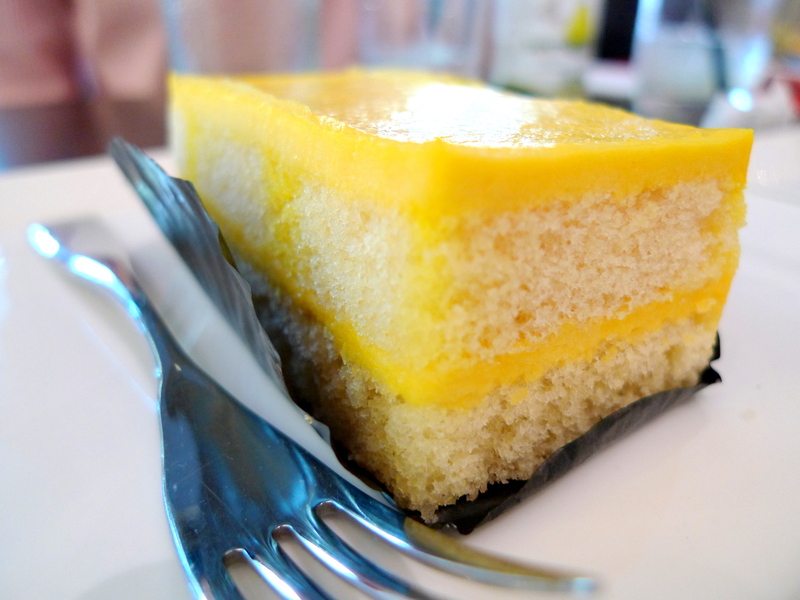 I didn’t like the Mango Deluxe($5.90 b4 50% off). It was weakly flavoured and dry. The Praline($5.90 b4 50% off) on the other hand was a different story. 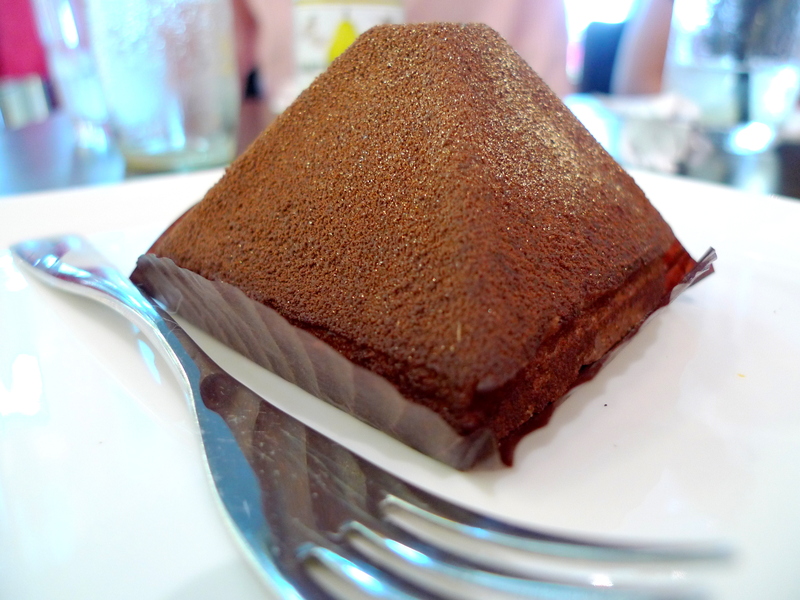 It tasted so much like a pyramid-shaped Ferrero Rocher-Kinder Bueno crossbreed. Alternating layers of ladyfinger biscuit, crunchy chocolate balls, hazelnut cream and chocolate over a crisp praline base. Yummm! I really like the concept behind Espressoul. Between the amiable owner, more than reasonable prices and lovely ambience, there really isn’t much more that one can ask for. Categories : All YumYums in my TumTum, City Hall, Coffee, Cuisine Type YumYums, Location of YumYum, Yummy! I’m a sucker for sandwiches! Yummmz. Anw I’m done with my stupid blog/report already. 5pg for 5% of my grade, super not worth my time and effort!!!! any idea if this cafe is still operating?